Even in a highly competitive market, your business can differentiate itself by having a clear value proposition. What’s more, is that your company’s unique value proposition is going to act as the cornerstone of your entire marketing strategy. That being said, you’ll need to use it in every marketing material you create, whether it’s a landing page, social media ad, or email marketing campaign. Before we get into the definition and characteristics of a good value proposition, let’s first look at what it isn’t. These are not value proposition examples – they are slogans. → They don’t tell you why you should consider this brand and not the competition. The unique selling proposition (USP) and the positioning statement are also different than the VP. The USP is the key factor that will emphasize what makes your business unique and better from other major players in your market. Simply put, the value proposition is part of the USP. On the other hand, the positioning statement briefly describes how your product or service fills a particular need that your competitor doesn’t. Now that we’ve established this, let’s look more closely at the definition of a business value proposition. That being said, several businesses can offer similar products or services but you (most likely) won’t find two businesses that have the same unique value proposition. You can think of this as a fingerprint – it’s unique and it distinguishes you from everyone else. The main reasons why they should choose you, instead of the competition. In case your current business value proposition does not explain at least one of these three aspects, then you need to rewrite it and emphasize the value you’re offering. Specificity. Your potential customers need to know about the tangible business results they’ll get from using your product or service. Clarity. People shouldn’t spend more than a few seconds trying to read and understand your value offering. Differentiation. You need to emphasize the way your product will fix the customer’s problem or change their life. Before writing your business value proposition, there are a few important questions that you need to answer first. What are its main benefits for the customer? How does the product experience make the customer feel? What emotional drivers make people buy your product? What hidden needs do your customers have? What fears do people have when it comes to switching to your product? 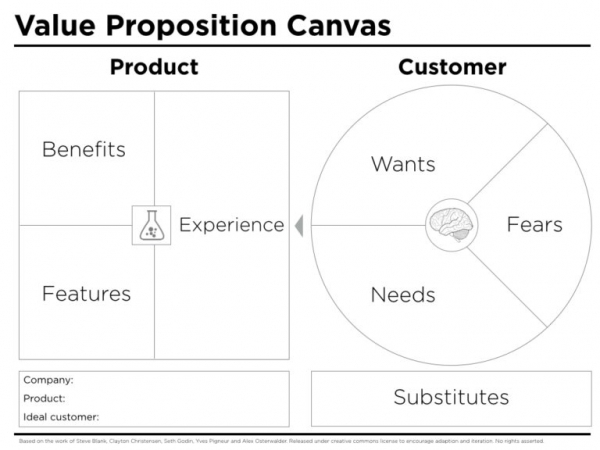 After you’ve answered these questions, you’re ready to create your customer value proposition. This is a simple yet effective approach that Guy Kawasaki has used over and over again to describe the startups he works with. VAD is the abbreviation for verb – application – differentiator. This is possibly the simplest value proposition template you’ll come across. We help online stores increase their sales through email marketing automation. This value proposition template formula is extremely easy to spot and I’m pretty sure you’ve seen several companies that you can associate with it. For marketers who find it hard to use Photoshop, Bannersnack is an online banner ad maker that can help them create beautiful designs in a matter of minutes. Keep it simple, stupid (also known as KISS). According to Peter Sandeen, it’s critical to emphasize what makes your product stand out. Not only that, but you also need to prove the claims you’re making. Because if you don’t do that, people are unlikely to really believe you and your value proposition becomes worthless. For the proof part, you can use industry statistics (the more specific, the better), or testimonials to make your expertise credible, which can be a strong alternative to using numbers. Pick the right way to deliver your promises in order to appear credible, otherwise, your value proposition won’t be effective. These two guys suggest a template called customer-problem-solution, which seems pretty straight-forward. First, you need to establish the profile of the ideal customer you want to target. Then, break down the problem you’re solving with your product. Finally, describe the solution you’re offering. Now that I’ve walked you through the theory, it’s time to get more practical. Let’s look at some fantastic examples of companies that understand the concept of value proposition and did it right. Unbounce does an excellent job at conveying in a simple manner the direct benefit of their product and the solution they’re offering. It’s clear right from the start that they’re targeting marketers, online ad managers, and digital marketing specialists. 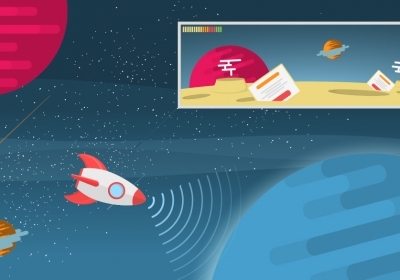 From the moment a visitor lands on their homepage, they will be able to tell whether Unbounce is the right solution to their problem. Not only that, but the company goes even further and addresses another concern – the fact that their target audience is not happy with their return on ad spend. 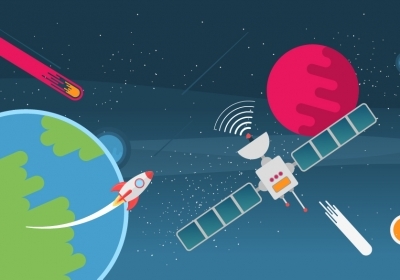 In this case, Unbounce proves to be the ideal solution because they promise to help their customers lower the costs of their online advertising campaigns. Right from the very beginning, Stripe makes a powerful statement about themselves: they say they are the best in their niche. As I’ve already mentioned above, when you decide to make such claims (that you’re the best, the cheapest, the fastest, the easiest, etc. ), it’s essential to prove it. 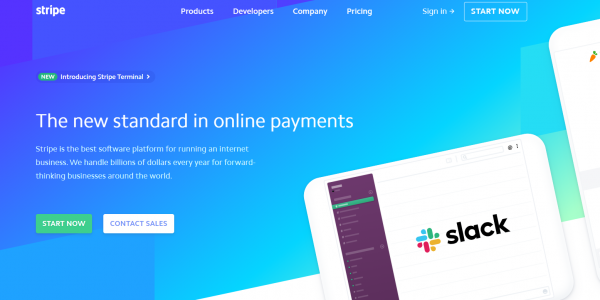 Their value proposition explains right away who this service is for (internet businesses) and how Stripe can help them. Anyone who’s going to look at their homepage will be able to tell that Stripe is an authority in this industry and that they take very seriously what they do. After all, handling payments for millions of businesses is serious business. Evernote’s value proposition pinpoints a very specific issue that their target audience is having – being organized feels like a lot of work. The keyword they used to attract potential customers is without the effort. After all, who doesn’t want to be more organized without needing to put a lot of work into it? Then, Evernote goes even further and described the type of things they can help you organize – ideas, projects, to-do lists, and more. In essence, the company manages to differentiate itself from the average notepad. Chances are not that many business owners love bookkeeping, which is why the value proposition of Less Accounting is so incredibly powerful. Aside from this, the company addresses three important questions above the fold, questions that their target audience can have when searching for accounting software. For those who are wondering what this product can do for them, they can see a list of features, which are emphasized by the use of the adjective simple. Then, the company addresses why they would be a better option to one of their competitor, QuickBooks. Finally, they target those who are just starting a business and need help figuring out what bookkeeping is and how to manage it properly. Personal finances – whether we like it or not – is something that we need to deal with and Digit knows that people want to avoid as much as they can thinking about it on a daily basis. The biggest differentiator is exactly this – the fact that the process of saving money is completely automated through this too. This means that the user doesn’t need to think about the amount of money they should put into their savings account every single day/month. Even though this solution may not be ideal for all people who are trying to put away some money for rainy days, it’s definitely a viable option for those who don’t want to deal with it themselves. You can see very clearly how Zapier highlights the main feature of their product and how that translates into a benefit for their target audience. Most professionals use several apps on a day to day basis and have no way of connecting all the information that’s within the apps. Instead of being another app, Zapier adds value by helping busy people become more efficient. Traveling light and not having to check-in a bag at the airport when going on a city break can be associated with the freedom of exploring new cities and countries. Tortuga Backpacks knows that young travelers (their target audience) are more inspired by the idea of backpacking. The added value here is that their backpacks are spacious enough that you can bring everything you want so you won’t be making any compromises. Generic statements are the worst and you should avoid them at all costs when crafting your business value proposition. You can definitely start with a generic one and work your way until you come up with a statement that clearly defines the value that you provide. In just ten words, Sumo managed to convey the main benefit of their product. They also didn’t forget to specify the number of customers that have already trusted their solution. The buyer persona of their product is crystal clear right from the beginning – small business owners. It’s also pretty straight-forward what the company does – it helps entrepreneurs with their invoicing and accounting. 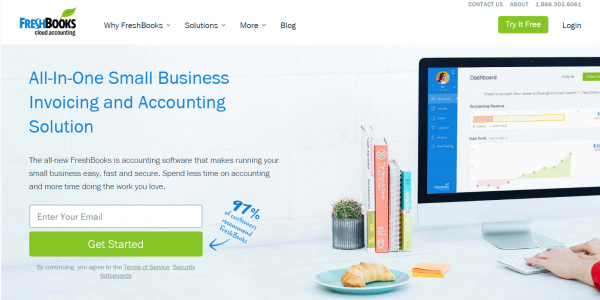 Freshbooks takes the hard work out of accounting and lets small business owners focus on doing the work they love. Easy, fast, and secure represent a fantastic choice of words that reassure the target audience they’ll be in good hands if they choose FreshBooks. This is not the usual value proposition example but it’s definitely one worth mentioning. The question Yesware features on their homepage is so enticing that you can’t help but say “Yes”. If you scroll down, you’ll find out that this tool helps you find the answer to this question. They also break down the main features that come with the product (tracking email open and reply rates, link clicks, attachment opens, and presentation pageviews). Then, they go even further to pinpoint the fact that their solution is ideal for salespeople. Your marketing materials (including your website) tell a lot about your business and the value you can bring to your target audience. That is why you don’t need to neglect the importance of having a strong value proposition. Figure out what’s your most important competitive advantage and use that to promote your product. But be sure that when you make that promise to your customers, you’re also going to deliver the value you promised you would. I hope that the tips and the examples I provided in today’s post will help you create remarkable copy that will make your business stand out.